Sallal Al Dahna is a wadi or valley with large mature trees and a permanent pool of water with a small waterfall. 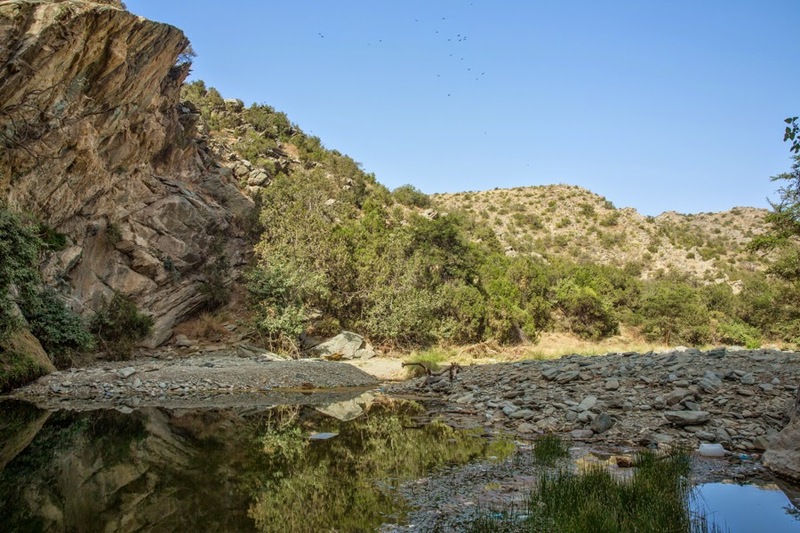 The valley is situated about two kilometres from Tanoumah on the road to Abha. This site is good for seeing the increasingly rare Arabian Magpie. The taxonomic position of the Arabian Magpie Pica pica asirensisis is uncertain, but it is generally regarded as a subspecies of the European Magpie Pica pica with an isolated population endemic to the Asir mountains, Asir Province, southwest Saudi Arabia. 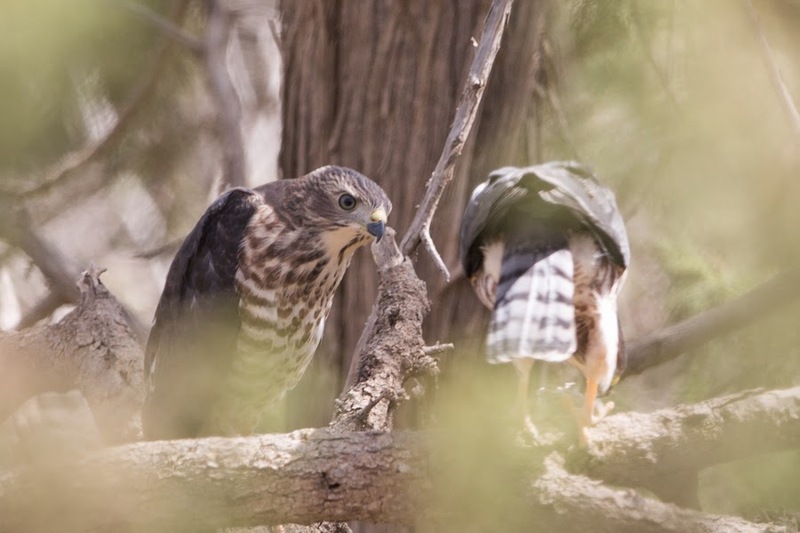 The birds have a very restricted range from Abha about 150 kilometres north to An Numas. 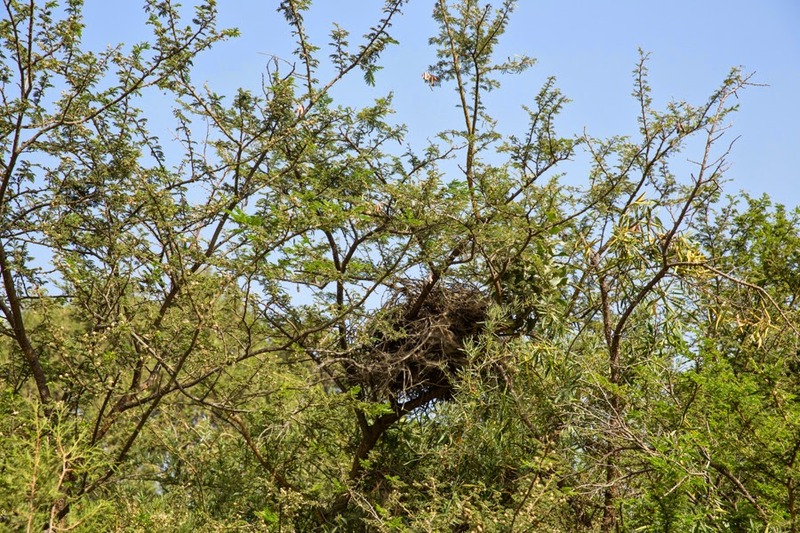 Unfortunately when we went on 11 & 12 July 2014 we could not find any Arabian Magpies but did find a disused nest of the birds in a mature tree in the valley bottom. 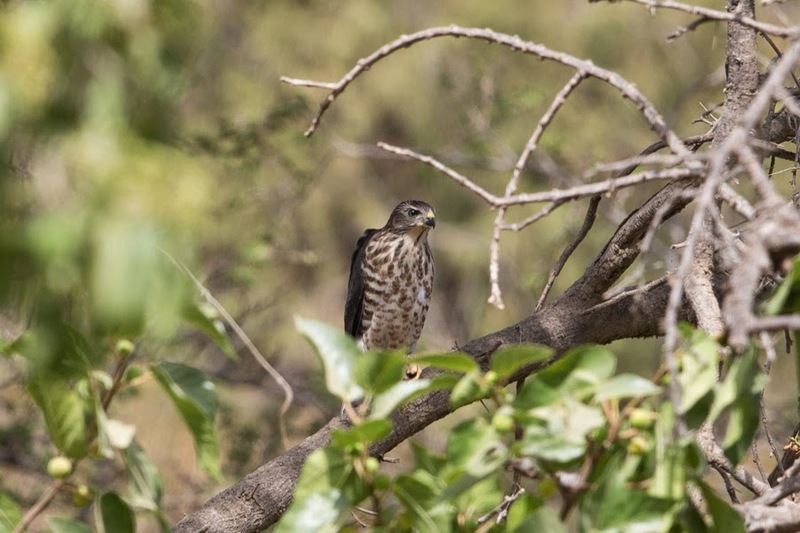 In the same area we also located a breeding pair of Shikra. 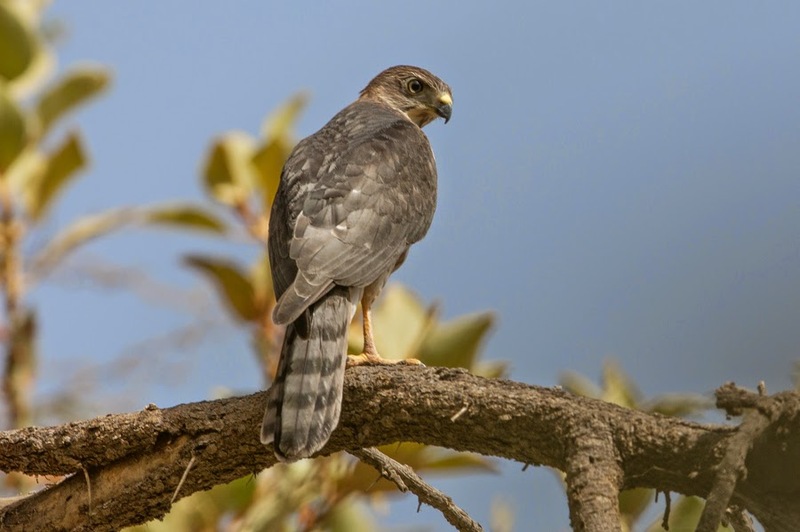 Shikra is a scarce breeding resident of the southwest of Saudi Arabia with a few scattered records of migrants elsewhere. 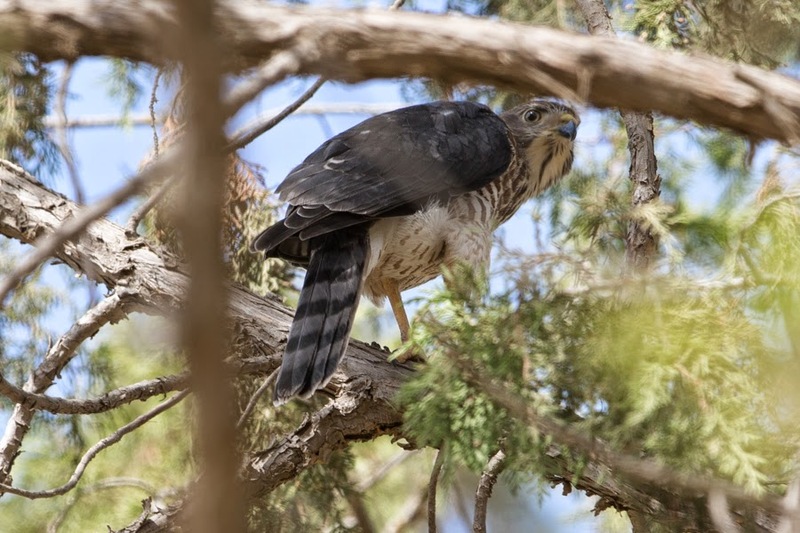 The birds we saw were adult male and female and a juvenile. One was seen in flight high over the waterfall when we arrived but we later got very good views of all three birds sat in mature trees in the valley bottom. This was a new species for Saudi Arabia for Phil and I and with the excellent views made up for not seeing the Magpies. 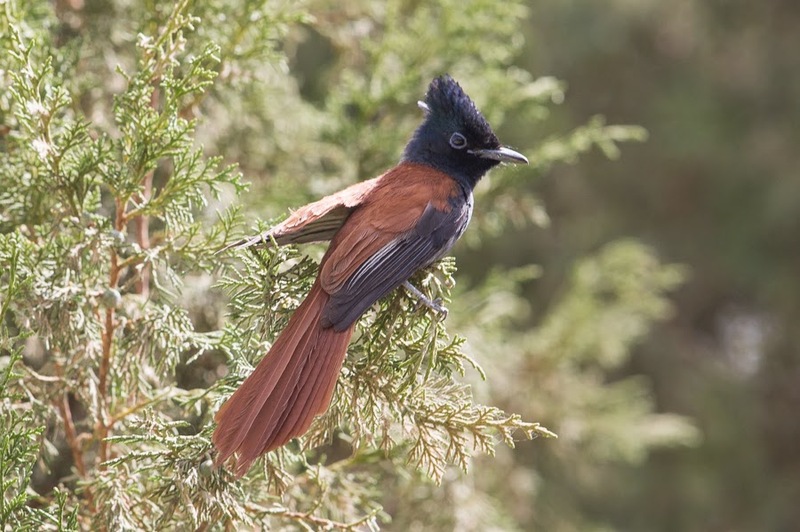 Other good birds seen in the valley included at least two African Paradise Flycatchers that gave very good and close views as well as Brown Woodland Warbler and Abyssinian White-eyes. 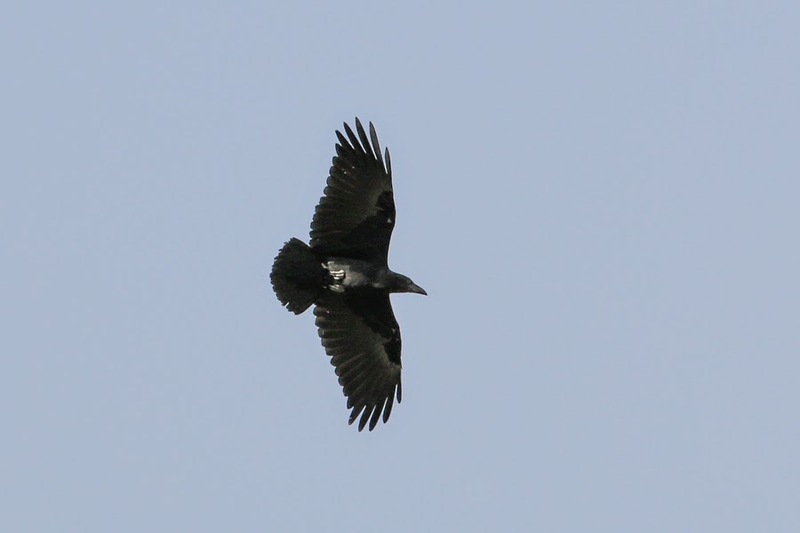 The most obvious birds were Fan-tailed Ravens seen on arrival with well over 50 birds flying about calling over the waterfall area. A few Palestinian Sunbirds, two Bruce’s Green Pigeons and a male Violet-backed Starling were other good birds seen here.